The prime objective of this report is to analysis the Human Resources Policies and practices on Biman Bangladesh Airlines Limited. Here Recruitment Policy, Personnel Policy, Organization and Method Policy are the focusing areas of this report. In this report some important Human Resource Policies have been highlighted and a comparative study has been done to find out the good side of those policies and the lacking based on Human Resources Policies. Human Resource Management department performs on important role and acts as active motivation for managing the Human Resource Policies for the employee’s welfare. In this report some important Human Resource Policies have been highlighted and a comparative study has been done to find out the good side of those policies and the lacking. The first portion of this report is based on the brief history of Internship. The second portion has elaborates describe about the HRM activities. But for time constraints some selected Human Resource Policies have been narrated. Here, Recruitment Policy, Personnel Policy, Organization and Method Policy are the focusing areas of this report. 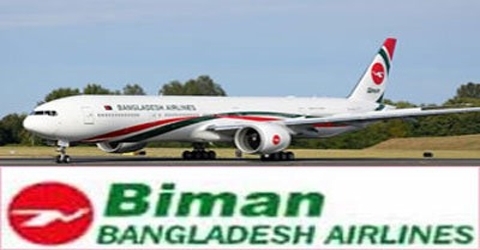 Biman Bangladesh Airlines Ltd. is an aviation company. In this company there are some set of Human Resources Management Policies. But in some cases some deviations have been found. In this report, I collected different HR related data to know the present HR Practices to help management to focus on the matter and to develop very good Human Resource Policies in future and practice them. I consider myself very lucky to obtain an opportunity to work in Biman Bangladesh Airlines Ltd. I went different departments in Biman Bangladesh Airlines Ltd. for searching data on Human Resource activities. General Objective: The prime objective of the study is to examine the HRM practices on Biman Bangladesh Airlines Ltd.
To find out the significant gaps of HRM in Biman. To suggest the better way of enhancing the performance of Biman. Internship has a big role to prepare a trainee for the future challenge of modern business world. So, try to recommend the areas of improvement . For my internship report, I am conducting descriptive research. hand is known as primary data. Taking in depth and face to face interviews, Making observation. To communicate directly with the personnel of the group, mainly HR department of Biman Bangladesh Airlines Ltd. When an investigators use data, which have already been collected by others for another purpose, such data is known as secondary data. Secondary sources were used to collect data regarding the companies’ performance since its inception. Different kinds of Paper, Publications, Journal, Biman`s web sites helped me to gather relevant data. Different kinds of papers of Aviation Company. Personnel and administrative Manual of Biman Bangladesh Airlines Ltd. Documents of different Section in Biman. Biman Bangladesh Airlines Ltd. the national flag carrier of Bangladesh has started its journey from scratch virtually with no aircraft, no ancillaries. It came into operation immediately after the war of independence. Despite many odds on its journey towards a long and challenging way to progress, Biman has been able to establish its reputation as an airline of welcome smile and an ocean of hospitality. Biman now carries the nation’s flag to South Asia, South-East Asia and Far-East, Gulf and Middle-East region and European Countries. A steady progress has been made with better services ensuring increased passengers. To make Biman passengers feel “once Biman always Biman” the airline has recently brought in some qualitative changes in its service concept. Biman has been aiming in achieving the goal of being truly international commercially viable airline of the region with its warmth and friendliness, care, safety record, traditional hospitality and comfort of the services it offered. Biman is now flying even higher with great pride around the globe with the bi-color, the nation’s flag. Biman Bangladesh Airlines was established on 4 January 1972 to be Bangladesh’s national airline under the Bangladesh Biman Ordinance. The initiative to launch the flag carrier was taken by 2,500 former employees, including 10 Boeing 707 commanders and 7 other pilots, of PIA – Pakistan International Airlines, who submitted a proposal to the government on 31 December 1971 following the independence of Bangladesh. The airline was initially called Air Bangladesh International but was soon renamed Biman Bangladesh Airlines. On 4 February 1972,Biman started its domestic service on the Dhaka–Chittagong, Dhaka–Jessore and Dhaka–Sylhet routes with a World War II vintage Douglas Dakota and Douglas DC-3, both gifts from the Bangladesh Air Force. On 10 February 1972, Biman experienced its first accident when the Douglas DC-3 crashed near Dhaka during a flight test, killing all five crew members. In 1974 operations were extended to Kathmandu, Bangkok and Dubai. Vision and Mission of Biman Bangladesh Airlines Ltd.
To Project Biman Bangladesh Airlines Ltd. in the aviation market as a world-class airlines. To Provide Safe, Reliable, Efficient and Economical air transport services and to satisfy customer’s exceptions while earning sustainable profit and continuing to be a caring employer. To provide and develop Safe, Efficient, Adequate, Economical and properly coordinated air transport services, internal as well as international. Business needs people as owners, employees and customer. With the increase of the size and complexity of business organization, man has become the most important factor in business. Organization needs people to make them operate. An organization is nothing without Human resource. Of all the resources, the most important one is human resource, because human beings play a dual role – as resource, as well as a motive force for all other resources by manipulating them, by way of developing, utilizing, commanding and controlling. Human Resource Management is concerned with people at work place. HRM is a field of management involves Planning, Organizing, Directing and Controlling the function of Procuring, Developing, Maintaining and Motivating a labor force. It is the process of acquiring, retaining, terminating, developing and properly using the human resource in an organization. So, Human Resource Department functions include Recruitment, Selection, Training and Developing, Performance Appraisal, Compensation and Industrial Relation in an Organization. Capital can be borrowed and technology can be imported, but people cannot be bought. All the factors of production other than the workforce skills can be duplicated anywhere in the world. It is all fungible- capital, technology, raw materials, information – all except for one thing, the most critical part, the one element that is unique about a nation: its workforce. Technology becomes inactive without workforce. It is a man who works behind machine. Improvement of productivity through the introduction of new technology depends, largely, on how people in the organization accept the change. To obtain desired result from the introduction of change in technology, the change must be acceptable to people. Assets make things but people make things happen. Human being can think, imagine and feel. They have creative and innovative power. Human beings can be motivated and stimulated. Human beings have synergetic power. Treat all employees with justice. Provide people with opportunity for growth and development. Human Resource management functions include Recruitment, Selection, Training & Development, Performance Appraisal, Compensation and Labor relation in an organization or a company. Recruitment is the process of searching for prospective employees and stimulating and encouraging them to apply for jobs in an organization. Recruitment is the process of finding and attracting qualified people for jobs. Selection is the process of finding out those candidates from the large pool of candidates who posses the necessary qualification to perform the effectively and efficiently. Selection is the process of gathering information for the purposes of evaluating and deciding who should be employed in particular job. Right person for the right job is the main goal of selection. Socialization is the process through which new employees acquainted with the organization, its culture, rules and regulations, supervisors and others employees. Training: Training is the learning process that involves the acquisition of skills, concepts, rules of attitudes to increase the performance of employees. Training aims to improve current work skills and behavior. Training changes employee’s attitude and behavior. Ongoing retraining is necessary to accommodate technological changes. To achieve efficiency of production. To Improve knowledge on new method. To inform the company policy. To change the attitude towards jobs. To reduce labor turn over. Reducing inherent fear about job. Development: Development of employees is necessary to prepare the organization for future challenges. Performance appraisal is the process of evaluating an employee’s current and past performance relative in his/ her performance standards. Performance appraisal is important for making administrative decisions relating to promoting, Firing, layoffs and pay increases. Performance appraisal can provide needed input for determining both individuals and organizational training and development needs. Another important use of performance appraisal is to encourage performance improvement. It aims that how a worker improve his /her behavior, skills, attitude or knowledge. Compensation: Compensation refers to the organization entire reward package, including not only financial rewards and benefits but also non-tangible benefit such as security. Labor Relations: Labor relation means the continuing relationship between employer and employees who are represented by labor organization. Recruitment is the process of exploring or searching for prospective employees and providing them stimulus to apply for specific position in an organization, through varied internal and external Sources. In other words, Recruitment is the development and maintenance of adequate manpower sources. It is very much concerned with the creation of the pool of available labor force to meet the additional need of manpower in an organization in the requisite member and when they requite it. Recruitment policy is vital significance in the manpower selection process. Manpower selection expert are of the view that a recruitment policy should be established after a very careful-thought . This needs to be clearly understood and efficiently carried out. It spells out clearly the intentions or underlying objectives in recruitment. It is also within the concern of the recruitment policy to specify whether it is to go in for campus (College) recruitment and get raw and inexperienced hands. The recruitment policy will also provide for the use of particular advertisement media source, i.e., whether newspapers, radio, television or any other media. The recruitment policies will very much emphasizes on the continuing research and analysis and of the present sources and methods. How effectively they have been working to achieve the desire result and further direct its effort to explorer newer sources and methods and latest selection techniques like use. When a person is needed to fill a vacant organizational position, the individual may come from inside or outside the organization. Some organizations prefer to recruit from within, since this helps in enhancing employee morale, loyalty and motivation. Other organizations prefer to recruit externally to prevent in- breeding and to encourage new ways of thinking. Internal Sources include the current work force that is those who are already on the pay roll of the organization. Whenever any vacancy occurs somebody from within the organization is promoted or demoted to fill the vacant post. Sometimes “Sideways” appointments may be made by transferring somebody of similar seniority from another department. Sources should match the position to be filled. The internet is providing many new opportunities to recruit and causing companies to revisit past recruiting practices. By having individuals bid for jobs. Employee Referrals: Current employees can be asked to recommend recruits. Employee referrals tend to be more acceptable applications, to be more likely to accept an offer and to have a high survival rate. Advertisement: must decide type and location of advertise, depending on job, decide whether to focus on job or applicant. The degree to which specific recruitments are listed. Employment Agencies: Public or state employment services focus on helping unemployed individuals with lower skill levels to find jobs. Private employment agencies provide more comprehensive service and are perceived to offer positions and applicants of a higher caliber. Employer, employee or both may pay fees. Management consulting, executive search or headhunter firms specialize in executive placement and hard-to-fill positions. Temporary employees help organizations meet short-term fluctuations in HRM needs. Older worker can also provide high quality temporary help. Training workers are employed by a leasing company, which provides them to employers when needed for a flat free. Typically remain with an organization for longer periods of time. If requisite talents are not available from within the company, managements have to look for outside source of recruitment for needed manpower. While making use of these sources, one of the fundamental pre-requisite is to choose or select the type of source or sources for recruitment of candidates, full regard being had of the particular recruitments of the jobs, prevalent economic and labor markets conditions and after having reviewed and evaluated the source or sources already tired, how effective and successful they have proved to be in attracting really potential employees. Therefore, before we open the subject of external recruitment sources for discussion here, it will serve quite an essential and useful purpose, to explain as a prelude, the important issue,“ Nature of Labor Market” , which has a direct bearing on the external recruitment sources. Human Resource is the most important department of an organization for any type of organization in the world. Human Resource is the soul of an organization. To valuate the employee/employer’s as human resource is the main function of an organization. Without proper qualification of an employee no organization can develop. For this reason it is necessary to give them proper training and special benefit. Human Resource is the most important department in Biman. More than 3150 employees are work in Biman. Human Resource Department of Biman are supervised by DGM (HR). Moreover, Personnel department is the most important section of Human Resource. It is supervised by a DGM (Personnel). DGM (Personnel) has some sub-breach are interrelated with HR from the beginning to retirement. An employee on contract is a person with whom a specific contract of employment has been entered into. An employee on contract bound by these regulations except where other wise expressly stated in the contract. A permanent employee is an employee who has been engaged on a permanent basis and the expression Permanent Employee” shall include any person who has satisfactorily completed the probationary period of Six month. Probationer is an employee who is provisionally engaged to fill a permanent vacancy in a post and has not satisfactorily completed six-month service. If a permanent employee is engaged as a prior a new post he may at any time during the probationary period of six months be reverted to his old permanent post. If his work is found unsatisfactory. Temporary employee is an employee who has been engaged for work which is essentially of temporary nature and likely to be finished within a limited period. Substitute employee is a person whose employment is of casual nature. Casual Employee is a person whose employment is of casual nature. Apprentice is a learner who is paid an allowance or a fixed pay during the period of his training. Deputation is employees whose service have been obtain on loan by the corporation from Government or other organizations and who shall be governed by the terms of his Deputation. Except where otherwise expressly stated in his deputation, these regulations shall also apply to deputations. Ensure quality recruitment of personnel. Bring clarity & consistency in the selection and recruitment process. Encourage all candidates to demonstrate their stability for a post through the establishment of a clear, welcoming and positive process. Strictly on the basis of Merit. Selected candidates are appointed on contractual basis for 3 years (general employee’s) and 5 years (cabin crews). The services of both of them are regularized on satisfactory completion of contractual period. No persons convicted in the court of Low, dismissed from govt. service or other agencies shall be employed. Age Limit 18-3 years, ex-servicemen up to 40 years, Ex-servicemen up to 50 years on contract basis. Cabin crew 21-25 years. Clearance regarding character and antecedents from the police department. NSI etc. Central Administration do local employees in foreign stations. Qualification may be relaxed in the case of candidates having adequate knowledge/Experience. Before formal appointment where basis training in BATC is a pre requisite the candidates have to sign a bond to the effect that he/she serve at least 5 years in that post, failing which financial compensation will have to be paid to biman. Where pre-induction basis training is necessary, appointment will be given after successful completion of such training. Can apply for the same post pay group or one step higher on completion of 3 years service in the existing post/pay group. Relaxation of class/ division (only one step lower) and age maximum 3 years. For any higher position on relaxation of qualification division except age for 3 years. Daily wages and Casual employment on the basis of existing procedure as envisaged in the admin Order. Respective department send for employment against vacant position duly endorsed by O & M department along with job specification. Government permission and management’s approval necessary for recruitment. Employment section invite applications through advertisement in the newspaper (2 Bengali & 2 English). They arrange test, Viva and practical (as the case may be ). Qualifying marks -written -60%, viva-65% and practical -65%. Final selection based on combined marks. Policy on district and other quota are to be maintained. Character/Antecedence of the candidates to be verified through police department and NSI clearance also to obtained where necessary. Employment section issue offer letter, arrange medical examination by Biman Medical department, arrange training from BATC (where applicable). After training formal appointment letter issued to the successful candidates. Employment section send their personal file to personnel section within 30 days from the date of issuance of appointment letter. Where pre-induction basic training is necessary (as 05 above), the candidates to sign a bond to the effect that she/he serve at least 5 years in the post, failing which financial compensation be paid to Biman. Selected candidates are primarily appointed on contractual basis for a period of 3 years for general employees and 5 years for cabin crew. Their services are confirmed with effect from the initial date of their appointment on completion of their contractual period of services (3 years or 5 years, as the case may be) provided he has rendered satisfactory services and has not been adversely reported upon by his superior officer and he head of the department. Director Administration is empowered to approve confirmation up to pay group-X in accordance with the corporation’s rules and regulations. In case of disagreement between the recommendation of concerned Director and Director Administration the matter will be referred to managing director for final decision. 30% (Thirty percent) of vacant during recruitment filled up from eligible and qualified dependents of employees of Biman provided the number of vacancies being advertised is 4(four) or more in a particular trade. Dependent candidates will, however have to undergo all necessary recruitment procedure/formalities as mentioned in existing recruitment policy. If, however, eligible and qualified dependents are not available for the post to fill up the 30% quota then the vacancies filled up from other eligible and qualified candidates. Job Specifications means– A statements indicating the minimal acceptable qualifications incumbents must possess to successfully perform the essential elements of their job. O & M Department develops job specifications for each post in consultation with concerned department. Seek out and participate in training opportunities to improve their job performance and competencies. Obtain approval from their supervisor to attend training programs. Apply learning in the work place. There are various responsibilities of Human Resource Departments in Biman. According to Biman HR Organogram, DGM(HR) has two sub-branch, Namely: Manager O & M and Manager Recruitment. Personnel section is the most important section in Biman. But it is very much heart full that personnel section of Biman are in different section. They are not interrelated in HR section. But they plays an Important role From HR. Noted that- DGM(Personnel) and DGM(HR) both are directed from Director(Administration) and General Manager (Administrations). DGM(Personnel) is the most important department of Biman. It has also some sub-section, Namely- Admin cell, Foreign cell, Investigation cell, pension cell and Regulation cell. They have their own responsibilities for each section. A Selection Panel made up for the senior management level of the concerned group HR as required. For recruitment in managerial level or above, at least one person from the group HR present in the final selection stage. The quorum is at least three (3) persons. Short listing is the responsibility of the selection panel. The criteria for selection will be consistently applied to all applicants. If the pool of applicants is found to be weak, the selection panel may recommend to the management that the post is re-advertised. When taking reference, referees should be asked specific question. Length of time they have known the candidate. Last regular contact with the candidates. Capacity in which they have known the candidates. Assessment of the candidate’s strength and weakness. All candidates will be given relevant information about the company to enable the candidates to make further enquires about the advertised job. Before the interview the selection panel agree on the line of questioning to be followed and ensure that similar question are put to each candidates. The question asked would be aimed at obtaining evidence of how each candidates match the requirement of the role definition the same areas of questioning covered for each candidates. The selection panel evaluate the candidates at the end of the interviews. The notes taken and documentation used in this evaluation process form part of the formal record of why candidates were or were not selected. In case the candidates selected, the interview records appended to the employee’s personal file. For all other candidates who were not selected, the records retained for 6 months, after that time they destroyed. The Selection Panel reach in the accord on the prospective candidates within the specified time and make clean recommendation for offer of employment. Recommendation made by the selection Panel approved by the MD & CEO as the case to be the final decision. Group HR depending on the situation issue the offer of employment. The candidates who have participated in the final round of interview but not considered for employment should given a letter of regret. has this policy to build a strong working team of employees. Development a competent work force able to respond to the demands made upon them in carrying out their jobs. Ensure quality training is provided to equip the work force with the necessary skills, knowledge, competencies and attributes to perform their jobs effectively. Updates employees with technologies and operational changes and developments. (1) The Company pay compensation to flying as well as non-flying personnel on death or total permanent disablement resulting from accident, arising out of the work, given by the Companies at rates prescribed by it with the approval of the Government. (2) An employee or his beneficiaries and heirs not have any additional right to any money except the compensation as applicable when insured at the cost of the Corporation. (3) The Company provide, at its own expense, reasonable medical aid or bear expenses thereof for an injury suffered by an employee in the due performance of his duties and not due to his negligence or default. The personnel department maintain service record of all employees of the company. Events relating to the service of an employee entered in his service record and all entries initiate by an officer of the personnel department and duly accounted for. (2) When an employee is transferred from his permanent station of posting to another station or location temporarily for a specific period not exceeding ninety days, he considered as on temporary transfer and entitle to the payment of daily allowance at the prescribed rates. Where an employee is posted from one station to another station permanently, he consider as on permanent transfer and entitle to receive settling allowance as prescribe by the competent authority. An employee whose performance is considered satisfactory before the due date of annual increment of his pay in his time scale of pay, he entitle to increment subject to prescribed rules. An employee is liable to be demoted by the competent authority for reasons of indiscipline, inefficiency, irregularity, misconduct or unsatisfactory work. Once an employee has been demoted he will not normally be considered for reinstatement to his former grade till a period of one year has elapsed unless the period of demotion has otherwise been pre-specified. (1) A provident fund of the employees to be called the Bangladesh Biman Employees Provident Fund, hereinafter called the Fund. The object of the fund shall be to provide immediate help to every employee with a sum of money that accrues to him at the termination of his service or to his nominees in case of his death. Every employee of the Corporation on the permanent strength of the company a member of the Fund. (3) The operation of the fund shall be governed by such regulations as may be framed by the competent authority from time to time or framed by the Government for uniform application on all autonomous bodies and corporations. To ensure that the work place is from unnecessary hazards and keep the employees physical and mental health protect from the occupational hazards, company has taken necessary precaution regarding health and safety matter. All floors are equipped with fire fighting items like fire extinguishers. In addition to create awareness on safety protection, highly visible sign, Poster, Safety slogan have been placed at different places of the factory premises. As a part of safety Program refresher training are also arranged for the employees time to time. General first aid kits with necessary drugs are also available at different locations. To ensure a healthy environment management has banned smoking on the office as well as company premises. In house check up facility provide to the employee himself/herself by company physician on request free of cost at a predetermined time. An awareness session on health care to be organized by the HR departments. With full or half average pay. Accident while on duty and not due to his negligence of default. Medical Certificate on prescribed form for temporary disablement. Accident leave deductible from payable compensation on permanent disablement trainee is also entitled to accident-to-accident leave. 20 days in a calendars year pay. Not more 10 days at stretch. Cannot be prefixed or affixed with holiday except affixing or prefixing may be allowed if casual leave is for maximum 3 days at a stretch but no birding. Cannot be accumulated permission necessary except in emergencies. Cannot be availed other than base country. Compensatory off if not allowed exceeding a month. I shall be not credited with privilege leave. Maximum 23 weeks after completion of 1 year service. Maximum 4 weeks after completion of 2 years service. Maximum 6 weeks after completion of 3 year service. On medical ground 4 months after maternity and one year in other case. On completion minimum 1-year service a female employee shall be entitled 16 weeks maternity leave with pay i.e. 8 weeks before confinement plus 8 weeks after confinement. Maximum 30 days with pay if any family member suffers. If self suffers may also be granted provided no sick leave is due at his credit. 14 days entitled for each year of service, Maximum accumulation up-to two months, 1 days S/L allowed without medical certificate. Medical Certificate issued by outside doctors needs endorsement from Biman Doctor .for S/L exceeding 15 days S/L hospitalization is a must. On prolonged sickness of 30 days or more special sick leave allowed after adjustment of due S/L and P/L initially 3 months on the recommendation of the Biman officer and further 3 months on the recommendation of special leave Board once in 5 years on completion of minimum 3 years service provided he remain under treatment of Biman Medical Officer. Maximum 2 months for attending National and International matches, Sports, Seminars etc. for sportsman or Rover Scout. Without pay entitled on completion of minimum 3 years service. Study must be on the trade and directly useful to the corporation need recommendation from concerned director when evidence is produced for sufficient funds to defray such expenses. (i) Employees with up to 5 years service One month’s notice or one month’s pay in lieu of notice. (ii) Employees with service between 5 and 10 years Two month’s notice or two month’s pay in lieu of notice. (iii) Employees with service above 10 years Three month’s notice or three month’s pay in lieu of notice. If an employee is transferred from one department to another or in the same department from one job to another job on redesignation in the same grade for the interest of the corporation no selection/recruitment procedure is necessary to be followed. But for redesignation on the request of the employee, normal procedure for selection shall be followed. In such a case, service rendered previously shall not be counted for the purpose of seniority. Willful insubordination or disobedience, whether along or in combination with others, to any lawful and reasonable order of a superior. Theft, fraud or dishonesty in connection with the business or property of the corporation. Causing damage to any property of the corporation. Taking or giving bribes or any illegal gratification. Habitual late attendance and habitual absence without leave or without sufficient causes. Habitual negligence or neglect of work. Drunkenness, Fighting and Riotous, Disorderly or Indecent behaviors. Smoking within the premises of the corporation in place where it is prohibited. Carrying on money lending or any other private business without the permission of the competent authority. Gambling within the boundaries of the premises of the corporation. Holding meetings within the boundaries of the premises of the corporation without the previous sanction of the competent authority. Distribution or exhibition within the boundaries of the premises of the corporation of any newspaper , handbill, pamphlet , poster without the previous permission of the competent authority. Stoppage of increment or promotion on ground of inefficiency, irregular attendance and misbehaviors. When an Employee of the corporation is to be proceeded against for any offence under regulation 55 and the competent authority is of the opinion that the allegations, if established, would call for a penalty under regulation 56. If the accused so desires or if the competent authority so desires, an enquiry officer to be appointed by him shall hold an enquiry at which oral evidence shall be heard as to such of the allegations as are not admitted and documentary evidence relevant or material in regard to the charge shall be considered. The enquiry officer shall fix the date and time and ask the prosecution and accused person to submit a list of witness and any other material evidence that may be wished to be produced from each side. The competent Authority may nominate any person to present the case in support of the charge before the enquiry officer. If the accused “Pleads not guilty” then all whiteness in support of the change will be examined in his presence. The enquiry officer shall hear the case from day to day and no adjournment shall be given except for the reasons to be recorded in writing but in no case, an adjournment shall exceed ten days. The enquiry officer may, for reasons to be recorded and upon the union Representatives agreement thereto refuse to call a particular witness or to summon or admit particular evidence. No witness allowed to be present during the examination of another witness. The enquiry officer may put question to a witness in any form or manner he likes to elucidate any point in his statement or to elicit to pout any such question which may directly suggest or insinuate an answer. The enquiry confine to the charges and no irrelevant evidence be admitted by the enquiry officer. Provided that the authority may, if it considers it more expedient, instead of placing such employee under suspension, by order in writing require him to precede an such leave as may be admissible to him from such date as may be specified in that order. (1) A permanent employee working in any of the pay groups from I to V shall be required to give one month’s notice, should he wish to resign from the service of the Corporation. (b) Officers with service: Two months above 5 years but not exceeding 10 years. (c) Officers with service: Three months above 10 years. (3) An employee who resigns from service of the company but fails to give the required notice in accordance with sub-regulation (1) or sub-regulation (2), as the case may be, shall surrender pay in lieu of notice period. (4) On receiving the notice of resignation from the employees, the Competent Authority may accept or reject the resignation or, accept it with immediate effect or from any date after or prior to the expiry of the notice period with payment of the salary for the unexpired portion of the notice period. Provided that the Competent Authority may accept a written request of an employee for release from a date earlier than the date from which the resignation is accepted without payment of salary in lieu of the unexpired period of notice. Facilities career progression of employees. To reward really deserving employees. Maintain clarity and uniformity in promotion/upgrading decision. Provide a transparent system through which employees can foresee a career path. Provide appropriate criteria/requirements for promotion to higher grade. (1) An employee of the company will be eligible for promotion to a higher vacant post provided he possesses the requisite educational, technical and other qualifications required for such higher post and is considered fit for promotion in all respects and fulfils such other conditions as may be laid down in this behalf by the competent authority from time to time. (a) 20% of basic pay for the first 3 months subject to maximum of Tk. 200/- per month. (b) 10% of basic pay for the period exceeding 3 months subject to maximum of Tk. 100/- per month. (c) No charge allowance shall be paid for any period exceeding a total of 6 months. (3) An employee who is once considered unfit for promotion by the competent authority will not be reconsidered for promotion unless a period of six months has elapsed from the date he was so considered. An employee shall retired from the services of the company on completion of the fifth-seventh years of his /her age or the age of superannuating as may be changed for Government employees. An employee of the company may option to retrieve service at any time after has completed twenty five years of service by giving notice in writing to the competent authority at least thirty days prior to the date of his intended retirement. Provided that such option once exercise shall be final and shall not be Permitted to be modified or Withdrawn. The table reveals that 60% of the respondents Pay group are VI to X in master’s or MBA degree holder graduate,. 40% of the respondent pay group 3(II) to V in graduate and 10% of the respondent pay group (I) to (II) S.S.C or below level. The above table, it is clear that 80% of respondents got to the information’s about the vacancy for the present job through newspaper advertisement, 15% from from Biman`s websites and only 5% of respondents got the information’s about the vacancy for the present job through internal recommendations. Biman recruitment policy for pay group-VI, 30% respondents of the direct base, 70% of the respondents promotion base recruit. It is clear from the above table that, 100% of the total respondents that means all the respondents learnt about employment examinations through letter from the employer. So, it is found that letter from the employer is only used in the company to inform the applicants about the employment examinations. The overall evaluation of a company’s Strengths, Weaknesses, Opportunities and Threats is called SWOT analysis. The following SWOT analysis capture the key strengths, weakness within the company and describe the opportunities and threats facing Biman Bangladesh Airlines Ltd. Develop a competent work force able to respond to the demands made upon them in carrying out their jobs. Ensure employee’s maximum benefits other than companies. Trying to adopt the standard practice in administrations. Update employee with technologies and operational changes and developments. Security functions are very much high. Employees are couscous about their getup and disciplinary actions. No HR Executives in Administrations Departments. Competitors’ vulnerabilities are available there. They are tring to focus their tactics and getting surprise for the customer. Business development are potentially growing up. To get more qualified employment seeker by the organizations package. Unethical use of Power and government involvement. Labor union & worker associations interrupt on any welfare activities. Internship increases the efficiency and quality of the trainee because internship is the practical Implementation of theoretical knowledge. After achieving practical knowledge its act as a guideline during the service period. The organizations have standard criteria for selection like basic qualification, skills, experiences and in some cases any other extra qualifications set in the recruitment policy of Biman. Right person for the right place should have to the main goal of selection. Biman selection panel has no HR expatriate, who can select in according to objective and principal of HR and can select the proper candidate from the vacant post. Vacant position fills up by persons of average intelligence with appropriate qualifications, integrity and character. Respective department send for employment against vacant position duly endorsed by Organization And Methods department along with job specifications. Sometimes the organizations can’t provide proper training for their personnel’s. The recruitment system management follow the rules & regulations of recruitment policy. The goal of the compensation policy of Biman Bangladesh Airlines Ltd. is to give employees maximum benefit and satisfaction in the job. Biman have lack of Modern technology, Mismanagement, Labor union, and Corruption, Unethical use of power and government involvement and lot of problem. Lack of authority and accountability of the executives level. There are significant gaps in planning in the following arena. Monitoring of planned and routine activities for its existence and Improvement. Human Resource policies ensure recruitment and selection of right employees and satisfaction. The main target of these policies is to achieve a minimum benefit through selection and maintain employees to fulfill the goals or objectives of the company. Biman Bangladesh airlines Ltd. has its own human resource policies which are developed under a long-term process. Their employee selection process and compensation process standard and good practices. Also the training and development have organized format. But in some points there are deviations from the standards policies. Mainly the deviations are seeing in the compensation and benefit packages. Transport facility is the most important among those. Because the employees are working for long time in the organization and they can not manage transport vehicle at night after the study. The Management should take a good look about this and give proper solution for the problems. To eliminate the weakness of employee’s activities some good measures are needed. In the previous chapter I have Listed the facts of the study. I have tired to point out strength and weakness of the system. With Limitations of time and preoccupation of official work, I had to work on the study. I have Tired my best to collect all available data and other information regarding present recruitment and selection, Compensation, Training and Development practices in Biman Bangladesh Airlines Ltd. The ultimate result is that Biman Bangladesh airlines Ltd. shall be benefited if it guides to its employee is a positive manner. Biman Problems are very much complicated and really difficult to cure and it is not possible yet. Biman`s problem are needed to be thoroughly studied and a team of airlines and HR expert must start working from now on to find out the real problems and each of the vulnerabilities of Biman. A countries image depends on many factor’s and an airlines is also one of them. To help Biman move out from its old-fashioned way of management, to accommodate the future opportunities and to avert the current crisis and threats, it is extremely essential for Biman to undertake the following steps set forth as recommendations. Management system in all the departments should have to changed in an urgent way and newly introduced HR department must be keep as the change of the planning and controlling process. A total quality management system needed to be released and watch dog system must be offered to ensure that. To Control the labor union, HR department should get involved and trouble makers must be lay off from the organizations. To retrieve our countries image and make Biman a profitable organizations, it is urgent to apply HR functions and recruit and pay attention to the experts HR regarding Biman. Immediate opening of an HR department in Biman Bangladesh Airlines. Ltd. in order to perfect maintenance of Human Resource to cope up the situations. “Putting the right person in the right place”- should have the main vision on recruitment policy. The rules & regulations of recruitment Policy should amended. Modern technologies should be introduced immediately and provide necessary on duty and off duty training for the new technologies. Corrupted officers should be recognized as soon as possible and finally suspended. Government interference should be minimized. HR recruitment set up procedure are not efficient. It should have to change, basically job description & job specifications. Biman needs to keep its websites continuously updated so that the clients can get the latest and complete information from the websites. Previous work experience and high scholastic aptitude should be given due important in selection procedure. To ensure accountability, the Board of Directors needs to be reformed. Recruitment policy should be cheeked time to time by expert, so that necessary changes can be made in the policy. In regulations, it is necessary to include paternity leave. Management trainee needs the feedback & discussion as early as possible with in the trainee period. So supervisors should sit them time-to-time. Biman should develop and adopt a coping strategy addressing the market need.